Jane Fonda in Paris with English actor Peter McEnery, her co-star in the film The Game is Over, 1965 via ekittles. 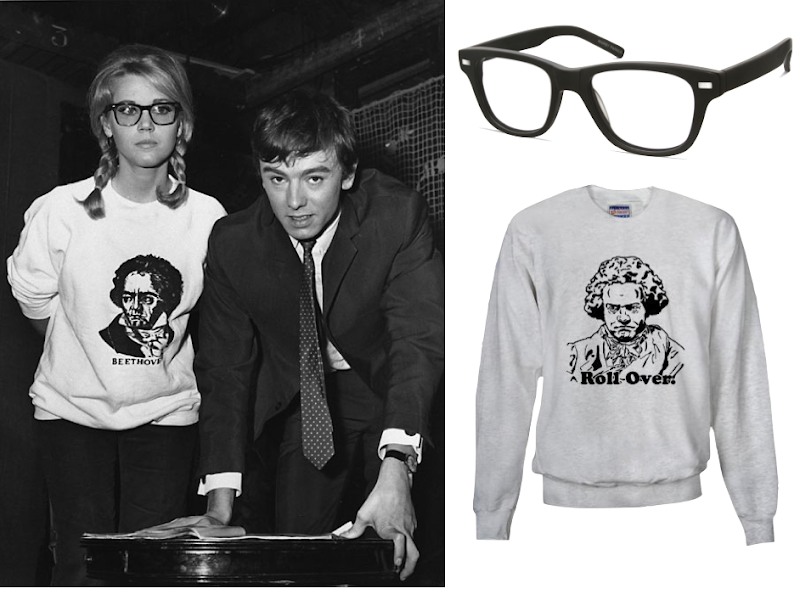 Warby Parker "Owen" glasses ($95 with Rx); Roll Over Beethoven sweatshirt ($30). Love it! I'm a big fan of the sweatshirt, in all its guises. This is fantastic. The original hipster! Interesting seeing today's fashion so perfectly manifested in another time. Completely. It's crazy to think this photograph was taken over 45 years ago. i just saw jane fonda in on golden pond. she is such a babe.